This 4 in 1 Combo is great for kids of all ages....even a 13 year old. 140 sq. feet of bounce space and a 13' slide. Also included is a Basketball Hoop inside to give the kids another fun activity to do. 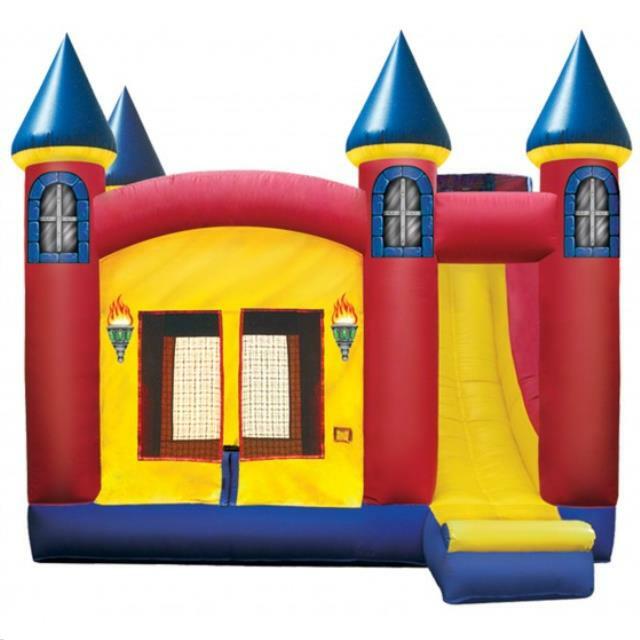 * Please call us for any questions on our inflatable bounce excalibur combo rentals in Cornelius NC, Lake Norman, Mooresville, & Davidson, North Carolina.